I always knew this would be an epic wedding to be a part of! 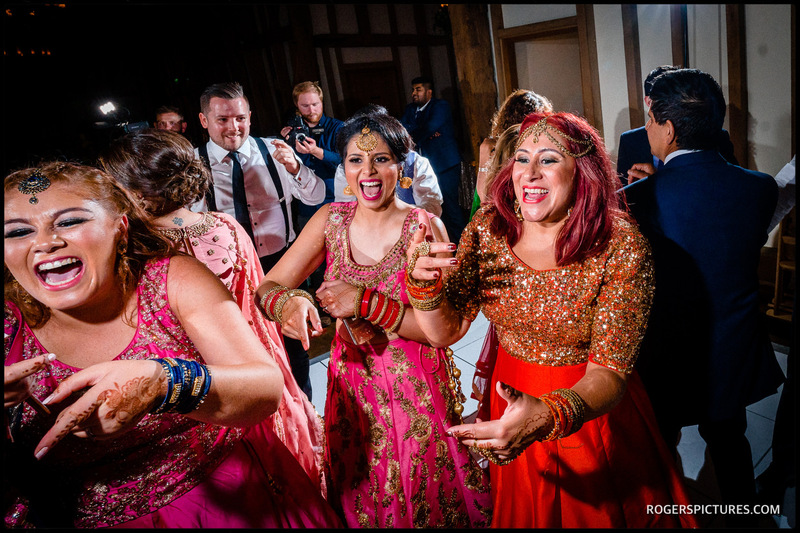 From their very first email, it was clear that Anisha and Jas had planned an amazing Sikh wedding for the Autumn, and I was delighted to be commissioned for their Micklefield Hall wedding photography. They’ve known each other since High School, and have been together for 7 years. They mentioned right from the start how much they love natural photos that tell a story, so my style of documentary wedding photography would be the perfect fit. 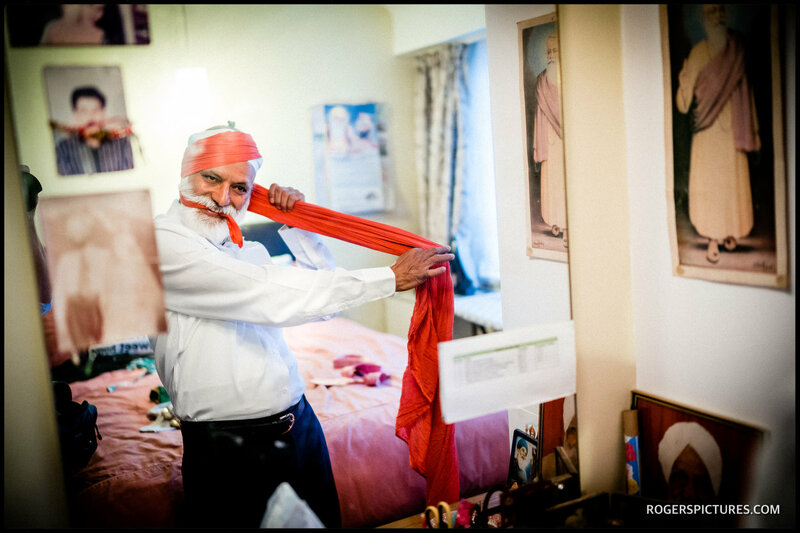 I was pleased to have David second shooting with me on the day – there are a lot of parts to a Sikh wedding, and we wanted to cover all aspects thoroughly. 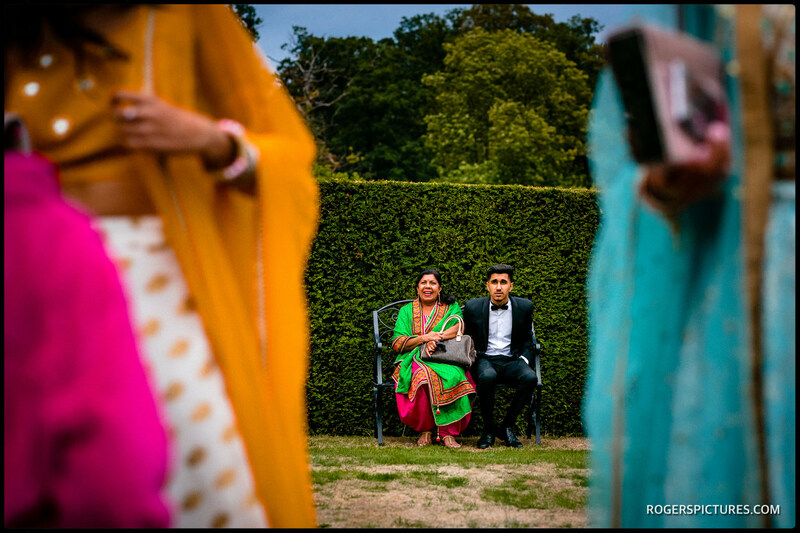 We also knew how families at Indian weddings love a posed photo! 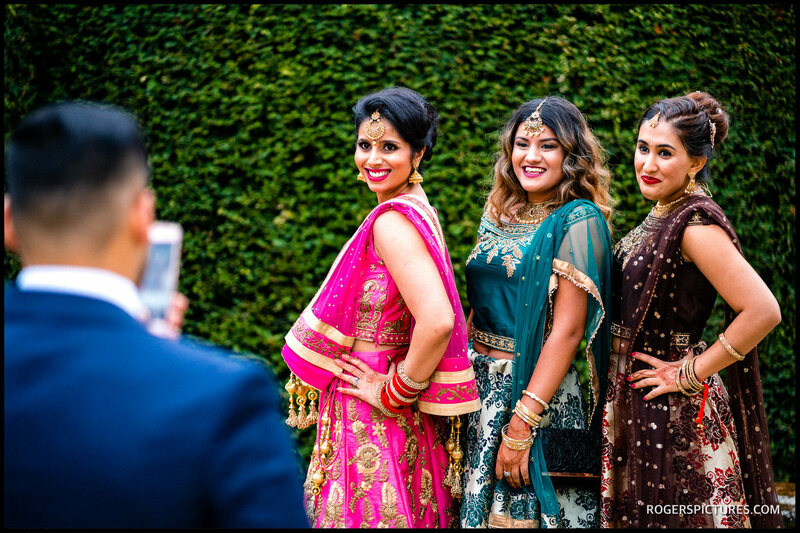 With two photographers that works out fine, as there’s always one of us continue the story-telling, while the posed family pictures are taken care of. 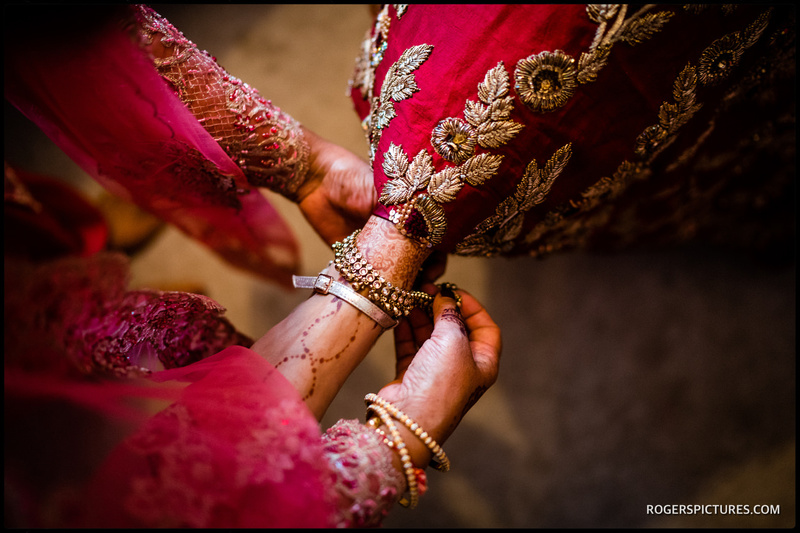 Our day started at the crack of dawn, with myself covering preparations at Anisha’s parent’s house for the Bride and bridesmaids, while David was a few streets away at Jas’s house. 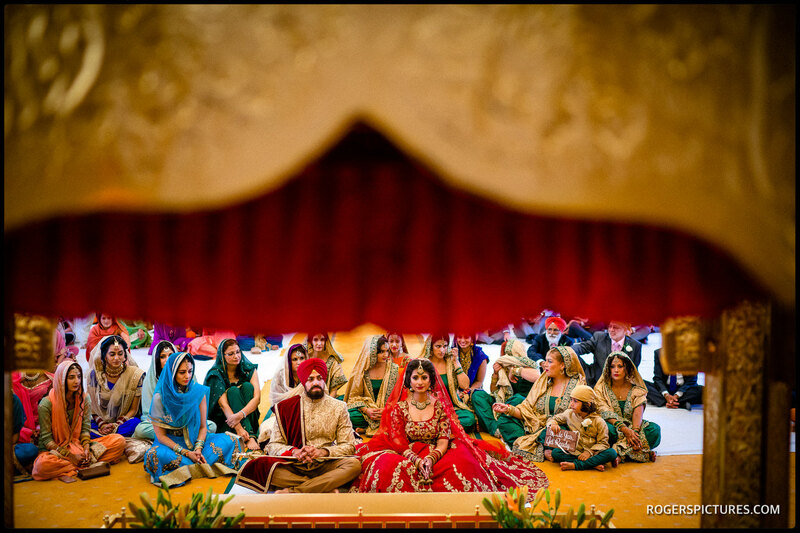 We met up later that morning for the start of the Sikh ceremony at the Hibernia Gurdwara in Hounslow. 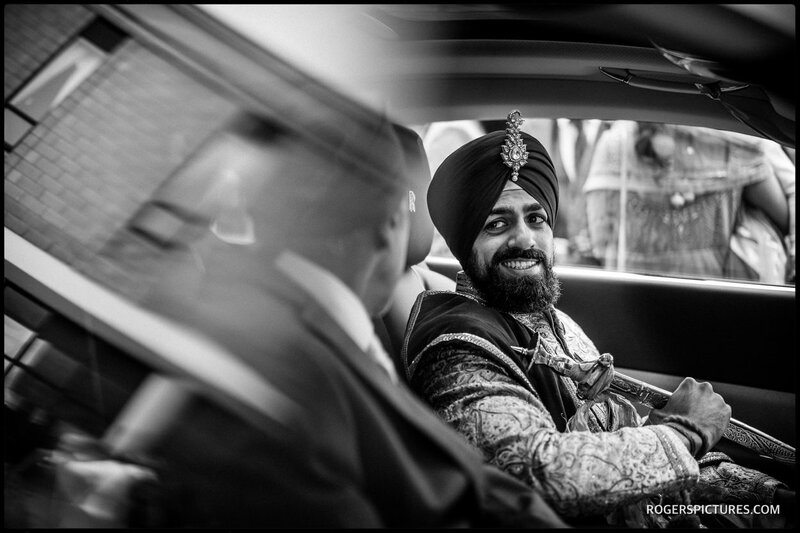 There’s plenty to photograph at a Sikh wedding, lots of opportunities for our style of story-telling. After the ceremonies and breakfast were over, we headed back to each of the parent’s houses for the final send-off before the wedding party made their way to Micklefield Hall for the evening celebrations. The Great Barn and gardens looked simply stunning as we turned up a little earlier than the guests for some portraits. 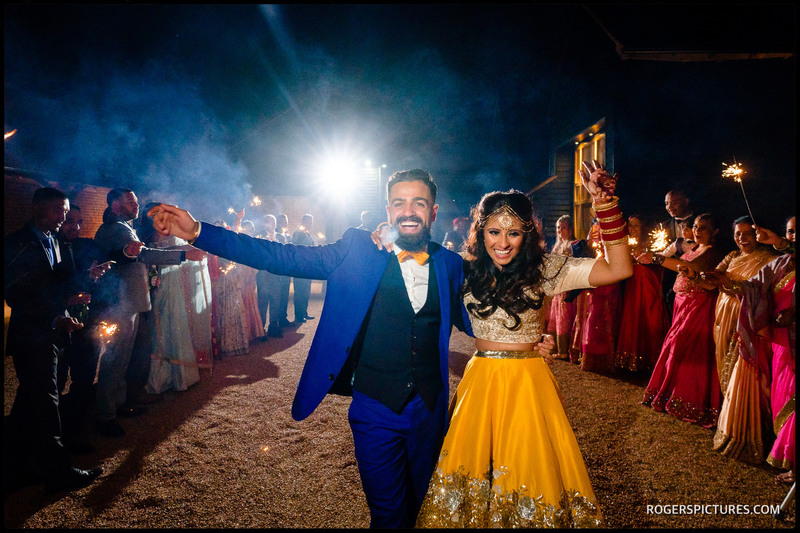 The grounds of this Home Counties country house are beautiful, and offer the perfect setting for an outdoor wedding ceremony. On this occasion though, we made good use of them as a backdrop for some couple portraits while the rest of the wedding guests grabbed some canapés and drinks. 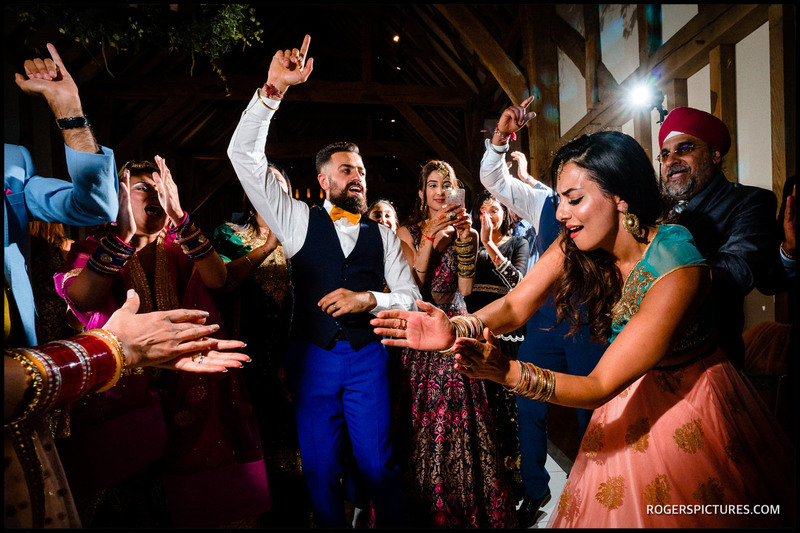 Inside, the Great Barn was ready for the wedding breakfast, and soon the drummers announced the newly married Anisha and Jas. After the meal, the speeches led into the evening dancing, before a midnight sparkler send-off! 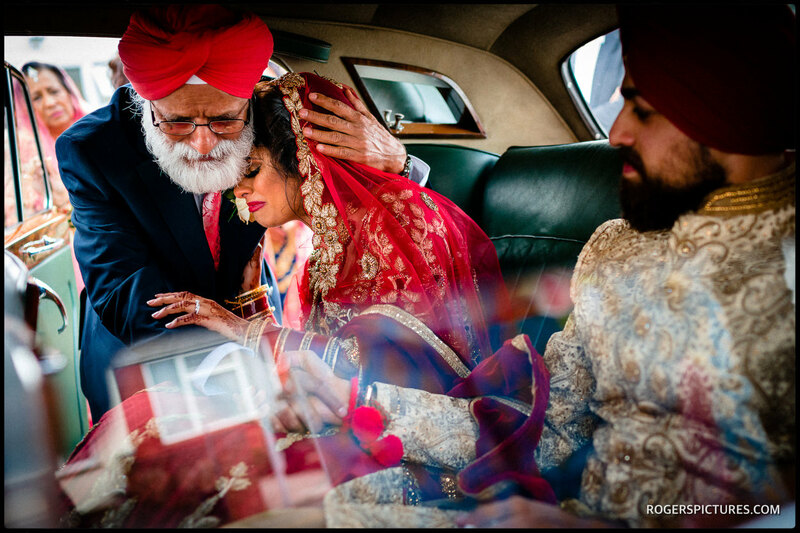 Check out the slideshow above for some of our favourite story-telling pictures from this wedding. 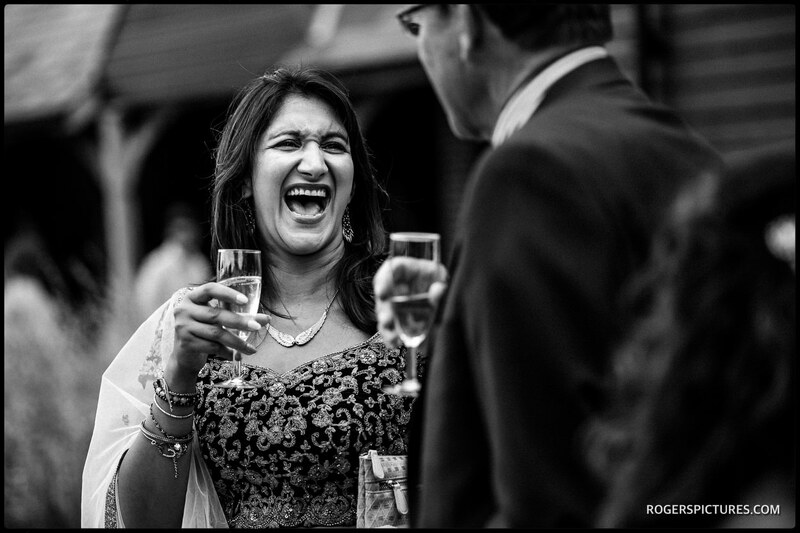 If you’re thinking of Micklefield Hall fro your wedding, you might also like to check out some Babington House wedding photography, or perhaps The Queen’s House wedding photography. 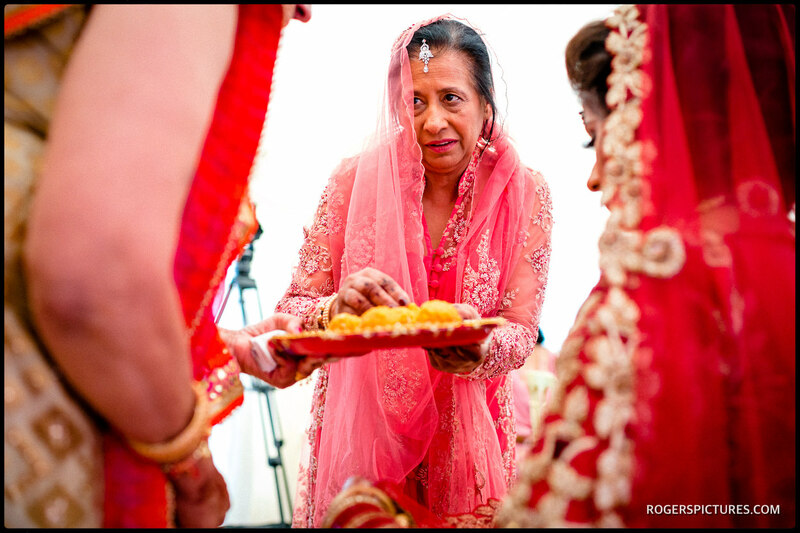 Here’s some more of my work as a Hertfordshire wedding photographer.